I received this book as part of Simon and Schuster's Thriller Chronicles promotion so I (somewhat wrongly) assumed this book was going to be an intense thriller. After finishing it, however, I think I could make a strong case that this is a contemporary novel with some suspenseful moments woven throughout - but I'm not sure it's a tried-and-true thriller. 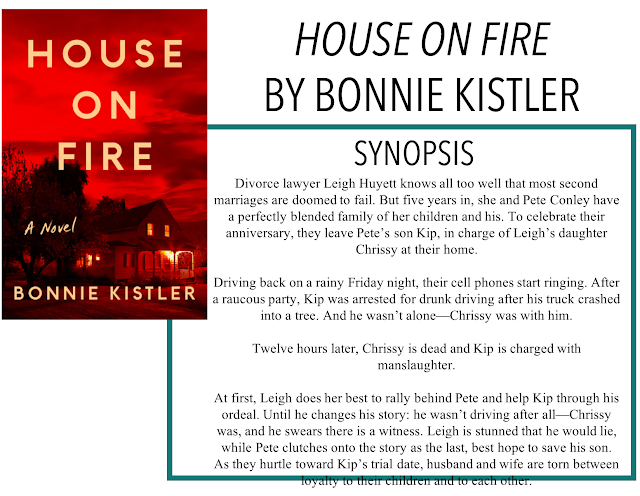 I am back with another review, House on Fire by Bonnie Kistler. Thanks so much to Simon and Schuster Canada for sending me a copy of this book for an honest review, as always, all opinions are my own. This book follows Leigh and her blended family. Her second husband, Peter, has two kids from a previous marriage and with Leigh bringing her own daughter and set of twins, they make a cozy family of seven. While away on their anniversary trip, Leigh gets called home by work and the couple make their way home to Peter's seventeen-year-old son Kip who was in charge of watching Leigh's fourteen-year-old daughter Chrissy. Except Kip wasn't at home, he was at a party. Chrissy went to alert him of their parents return and on the way home, they get in a car accident. Twelve hours later, Chrissy is dead and Kip is being charged with involuntary manslaughter. Now, don't get me wrong, there were some really great components of this book, including the dynamic of the family. They really were the model family everyone thought they were, despite some setbacks. I also really liked the emotions Kistler was able to weave into the story, it made it feel very real. There were, however, some parts that I didn't love. The main story itself had to compete with a dozen other smaller storylines, many of which seemed random and a bit unnecessary. I think the story - and what limited suspense I felt while reading it - would not have suffered from cutting back on a couple of the random subplots. I'm okay with having more than one focus on the story but I felt like things could have been more succinct for more or less the same ending. I think the worst part about all these subplots was that they didn't serve a real purpose. 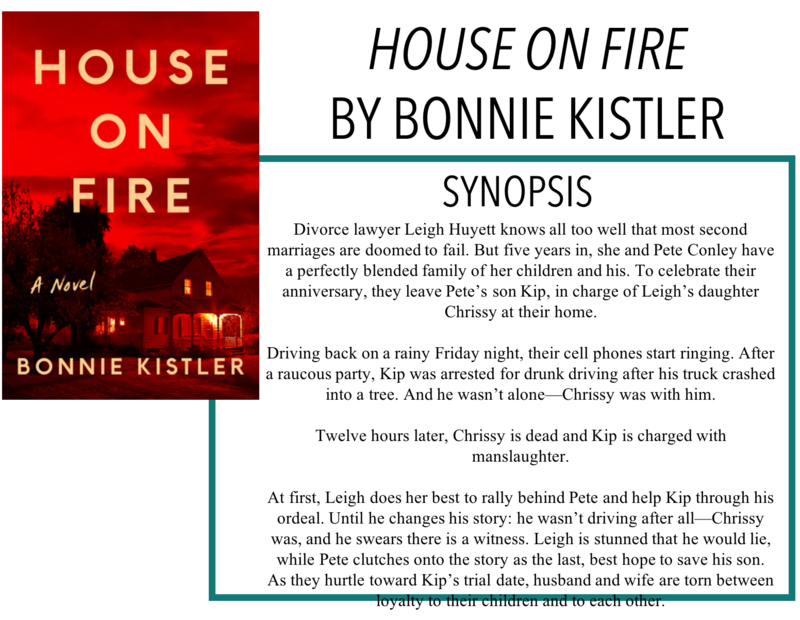 The book ends with the conclusion of Kip's trial, but we don't see how any of the other storylines are finished - although to be honest, they were minor enough that I didn't really care. Overall, this one was a little too convoluted for me.